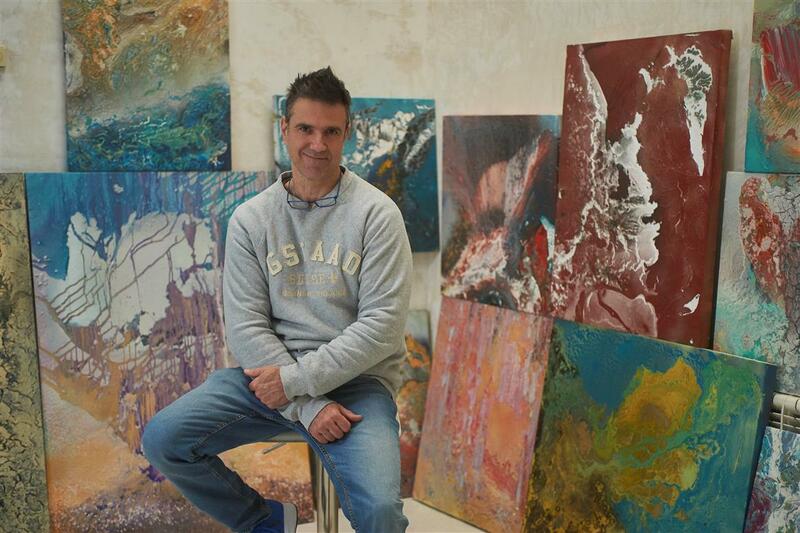 Spanish artist Fernando Bosch’s work is heavily influenced by the molten earth, a result of his childhood living adjacent to the Bandama Caldera in the Canary Islands. The geological inspiration is visibly present in his mixed-media paintings. The telluric colors are those seen in the sulphuric waters, mineral-rich earth, and flowing magma of geothermal and volcanic sites. The layers of paint resemble strata of rock and strongly echo the nature of marble. Fernando paints on the ground, further connecting his canvases to the earth. Each piece speaks to terrestrial strength, power, and beauty. I was born in Las Palmas in Spain's Canary Islands. My house was next to the Bandama Caldera volcano. I liked to wallow in the coal, feeling direct contact with volcanic rocks, experiencing its texture, its uneven and discontinuous forms, feeling its telluric energy. I was magnetized by its strength and safety; I felt alive, vital. I remember the hot, dense, moving colors as if they were characters, those friends and enemies of my childhood. Now I understand, with the perspective of years, that they enable me to understand the search for my identity through creation. The forms that I experienced as a child, those textures, those colors that captivated me, now appear in my paintings. Through the pictorial expression, I return to where I belong, I recognize the place where I feel safe. 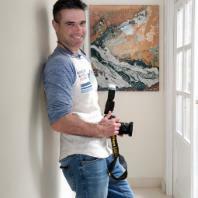 In my early years I studied art and I discovered a great passion for photography. I developed my art and photography at the same time. I used to paint tilting my body over the canvas without brushes or any tools. All my paintings are made on the ground. My paintings sometimes resemble the land, with seas of crackling lava and craters, as seen from the sky. The essence of my work lies in the idea of action, movement, colorful and overflowing fluency: trying to catch the place where action and movement, in their physical dimensions, can create an image of telluric colors. In my eyes, the introduction of all these variables do not owe anything to chance. In each painting I seek to emphasize their unique and unpredictable nature.